There are only six months left of President Obama’s term in office. While Americans all across the country are caught up in the upcoming presidential elections, several research institutes and media outlets are starting an assessment of President Obama’s policies. He has received much criticism for his domestic policies, such as Obamacare. In terms of diplomacy, one of President Obama’s more important policies has been his “Pivot to Asia.” CSIS has examined this policy and put together a report containing specific proposals. CSIS evaluated the “Pivot to Asia” as “insufficient to guarantee the interests of the United States,” claiming that “a strategy that lacks military backing does not provide sufficient opposition to Chinese and North Korean provocations.” Although President Obama’s foreign policy has been derided as weak, it has nevertheless had some impact. After a 54-year breakup of diplomatic relations, President Obama restored diplomatic relations with Cuba and became the first American president in 88 years to visit the country. By completely lifting the ban on arms exports to Vietnam, President Obama also dealt with some open wounds left by the Vietnam War, wounds that the United States has been reluctant to even discuss up to now. President Obama also grabbed headlines by becoming the first incumbent U.S. president to visit Hiroshima, the first city to be struck by an atomic bomb–although it is unclear whether he himself considers this moment the culmination of his foreign policy. President Obama, who launched his foreign policy with a speech in Prague, vowed to build “a world without nuclear weapons” and ends his term in office with a renewed appeal toward the abolition of nuclear weapons. Public opinion in the United States is still strongly supportive of the decision to drop the atomic bombs during World War II. Visiting Hiroshima was a difficult choice for President Obama and the White House, because the visit invited backlash from those who claim that the move was tantamount to an apology on the part of the United States. President Obama’s decision to visit was seen as very courageous in both countries, but especially in Japan. American public opinion was also appreciative of the fact that Japanese victims of the atomic bomb and their families did not demand any apologies from the United States. However, South Korea–an ally of both the United States and Japan–did not consider this historical visit “justified.” Korean media were united in their furious opposition to Obama’s visit, insisting that “Japan should not be made into a victim” and that “Japan should continue to be seen as an aggressor in the war.” These same media also claimed that “the tragedy of the atomic bomb was a result of the war and atrocities caused by Japan’s imperialism.” Although President Obama referred to Korean victims of the atomic bombs during his visit, Korean media insisted that their country was somehow being victimized, lamenting that Obama “did not visit the cenotaph for Korean victims.” South Korea turned its back on the main theme of Obama’s visit, which was the total abolition of nuclear weapons, which is undoubtedly a global concern. An American head of state visited Japan, once its greatest enemy, in order to achieve reconciliation once and for all, with an eye on the future. South Korea, an ally to both the United States and Japan, inserted itself into this historic occasion in a truly unseemly display, acting as though only South Korea was a victim in the war. Wars involve countries killing each other’s citizens. Countless precious lives were lost in all the countries that emerged victorious in World War II, including the United States. From that point of view, all countries who were involved in the war are “victims.” The United States and Japan spent the entirety of the war killing each other’s citizens, but today, they demand no apologies from each other. Korea was part of Japan during World War II, and the Korean soldiers who were part of the Japanese army stood side by side with Japanese soldiers as they killed Americans. But no matter how many soldiers the United States lost in the war, they do not demand apologies from South Korea. It defies comprehension that only South Korea is demanding apologies from the United States. South Korea’s insistent agitating for an apology becomes somewhat easier to understand if it is seen as an attempt by its rulers to ensure that domestic public opinion will not turn against the government. As shown by the country’s demands that Japan apologize for the so-called comfort women, demanding apologies from other countries seems to be a part of South Korean identity in some way. When Japan and South Korea closed an agreement on the issue last year after mediation from the United States, American voices welcomed that agreement. The agreement includes an apology from the Japanese side. However, Japanese officials have already offered around ten different public apologies related to comfort women. Still, there are no indications that South Korea’s demands for apologies from Japan will be satisfied anytime soon. There is strong opposition to the agreement inside South Korea, led by citizen’s groups such as “The Korean Council for the Women Drafted for Military Sexual Slavery by Japan,” whose voice is highly influential in the debate around comfort women. Because one of the aims of these organizations is to force an investigation of the Japanese government’s legal responsibility, it should come as no surprise that the South Korean government is now a target for their criticism as well. In addition, South Koreans have thoughtlessly dragged American people into the debate about comfort women by complaining to them, even though they have nothing to do with an issue that is essentially a problem between South Korea and Japan only. Even completely unrelated countries such as Canada and Australia have been drawn into the discussion through activism by local Korean communities— the erection of statues memorializing comfort women are one such example. 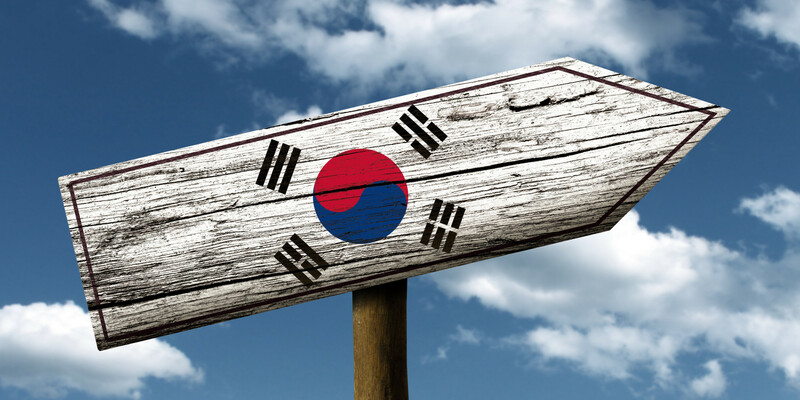 South Korea is trying to make itself sound more important by involving other countries, like a child that deliberately gets into mischief in order to get attention from its parents. If South Korea wants itself to be recognized as a grown-up country in its own right, rather than the child of the United States or Japan, it would do well to cease these endless demands for apologies that are rooted in a persistent sense of victimization.